Got disconnected at the end. Link here. Posting has been slow. Last weeks of classes and too many things to do. 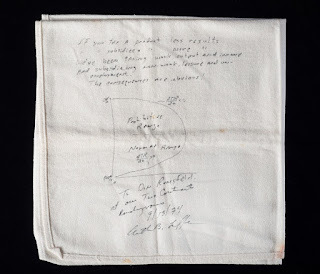 At any rate, this is the tax plan (below Trump's, above Laffer's infamous napkin plan; no big difference though). Nothing much to say. It's vague, as his campaign promises. The only certain thing is lower taxes for the wealthy. 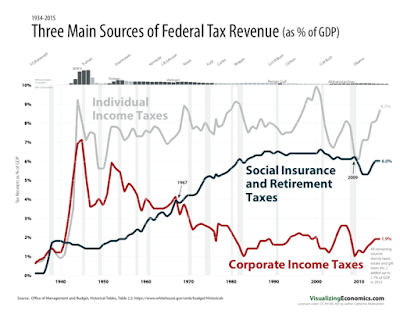 As I noted before, there is no big stimulus in his budget (the big infrastructure spending he promised), and most of the stimulus comes from tax cuts for corporations and the wealthy (which shouldn't do much for the economy, other than increase inequality). As part of maintaining his pro-worker masquerade, Trump will engage in an anti-globalization circus, but the bark will be worse than the bite because neoliberal globalization has increased corporate profits, in line with his economic interests. 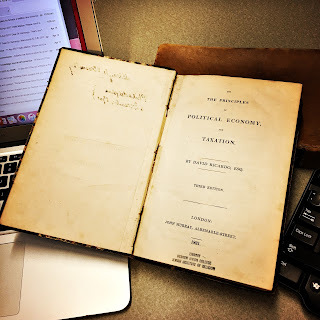 On Saturday, April 19th 1817 , David Ricardo published The Principles of Political Economy and Taxation (price was 14s, and 700 copies were printed; later editions had 1000 copies each; my copy above is of the 3rd and definite edition published in 1821, and had at least two previous owners, a college and someone in Philly that signed it in 1901). Most comments on the book tend to emphasize things like rent theory and comparative advantage, but those are not central to the main point of the book (the Wikipedia entry is specially bad). The central question in the book, which follows Ricardo's Corn Essay of 1815 (An Essay On the Influence of a Low Price of Corn on the Profits of the Stock), is that there is an inverse relation between wages and profits, and, distribution is conflictive. That is the essence of the Ricardian theory, and the reason why Marx was a Ricardian, not a minor one as suggested by Samuelson though. The inverse relation between wages and profits is what led Ricardo to criticize Adam Smith's problematic adding up theory of prices, and abandon the notion of labor commanded for the concept of labor incorporated (to keep the labor theory of value), which then led to the search for absolute value. The solution of the problem was elusive and was only provided by Piero Sraffa, the editor of his Works. For more read this entry on the Labor Theory of Value and this one on Sraffa's Standard Commodity. Nothing much to say about this really. I don't think I discussed it much here, but I'm certainly skeptical. I don't see why fiscal policy, which is discussed in congress and is an eminently political affair (budgets are negotiated between the executive and the parties in the legislative in most countries), should be different than monetary policy in this respect. But at any rate, the Lacker affair reveals how much the Fed is not independent from the financial sector, and that should be more troublesome than the lack of independence from the executive. It's a bit of old news, but I've been thinking about it, both because of the new configuration of the Fed will have an impact on monetary policy, and also, since I'm teaching this course on central banking history. Btw, Jeffrey Lacker, passed confidential information to Medley Global Advisors, a research firm, and was essentially forced to resign. His successor, as per Fed rules, will be chosen by the board of directors, which are appointed by member banks. That is, the financial sector appoints the officials that are in charge of monetary policy, and of regulating them. Perhaps cronyism is in belt in the institutional structure of capitalism. PS: Yes, Lacker was a hawk and for faster hikes in the Fed Fund rate. I've been reading The Nobel Factor: The Prize in Economics, Social Democracy, and the Market Turn by Avner Offer, Gabriel Söderberg, an interesting critique of the use of the Nobel Prize to undermine the Welfare State, essentially by conservative groups in Sweden, that were influential within the Central Bank (Riksbank), that disliked the Social Democratic policies in place in the 1960s. I have been critical of the Riksbank prize before (see, for example, here or here; check also Lars Syll's blog who often discusses the limits to the Nobel in economics), and this book is an interesting discussion of the socio-political forces behind the creation of the prize. I highly recommend it. Having said that, I should note that the alternative to mainstream marginalist (neoclassical) economics is not Social Democracy. I guess one can actually be Social Democratic (Liberal in the US New Deal sense of the word) and neoclassical. A good chunk of the Old Keynesians of the Neoclassical Synthesis sort were, and there are a few New Keynesians that are like that (many are simply Neoliberal). The alternative to marginalism, in my view, is a combination of the old surplus approach (classical political economy), particularly regarding value and distribution, and the Keynesian (and Kaleckian) analysis, regarding macro. Feynman began by ‘looking for a new law’. But after three centuries, economics has yet to come up with a single non-obvious ‘law’, or universal regularity. Don't get me wrong, regularities in economics are historically constrained, but there are more than a few. As any regular reader of this blog would know, I'm particularly fond of Okun's Law (and also of its inseparable fraternal twin Verdoorn's Law). I do think there is an important regularity behind the so-called Thirlwall's Law (that developing countries without a reserve currency face a balance of payments constraint more often than not), even if I don't think it is a "law" like the other two. In particular, I think that if one thinks of the persistent forces that operate within a particular mode of production, there are many other regularities that should (and to some extent are) part of economic analysis. There are many mechanisms that capture the workings of those regularities in the economic system, like the multiplier and the accelerator. Theoretical constructs that are measurable, even if that is difficult and open to criticism. I guess I'm okay with the use of the term economic law, in a certain context. I suppose Marx also thought that capitalism, and other modes of production, were to some extent amenable of analysis on the basis of certain regularities, certain laws of motion, if one prefers (and, yes, that opens a discussion about determinism, but I'll leave that for another post). Kindleberger (who I was lucky to see giving a talk in honor of Heilbroner years ago) wrote a little book on economic laws. The Iron Law of Wages, that Kindleberger discusses in his book, is very problematic (some discussion of that here), like the law of supply and demand, or the law of diminishing returns (they are not laws in my view, if that needs to be clarified). The other two Kindleberger discusses are much better, namely: Engel's Law and Gresham's Law. At any rate, for what is worth, I do think that there are many regularities that make economics scientific. Yes, sure social sciences are not like the hard sciences, but we do not live in post-modern world in which no regularities exist. But that does not undermine the authors' critique of the Riksbank prize, I might add. So the BLS has the new job numbers for March. Recovery continues at slow pace, as expected. 98k jobs created, considerably below the 200k average of the last couple of years, and unemployment rate reduced to 4.5% with the participation rate up a little bit, but still below its previous peak, at 63% of the labor force. The danger is that many more will suggested that we are now below the natural rate of unemployment (yes, that is a very problematic concept, something discussed here many times, too many to link). 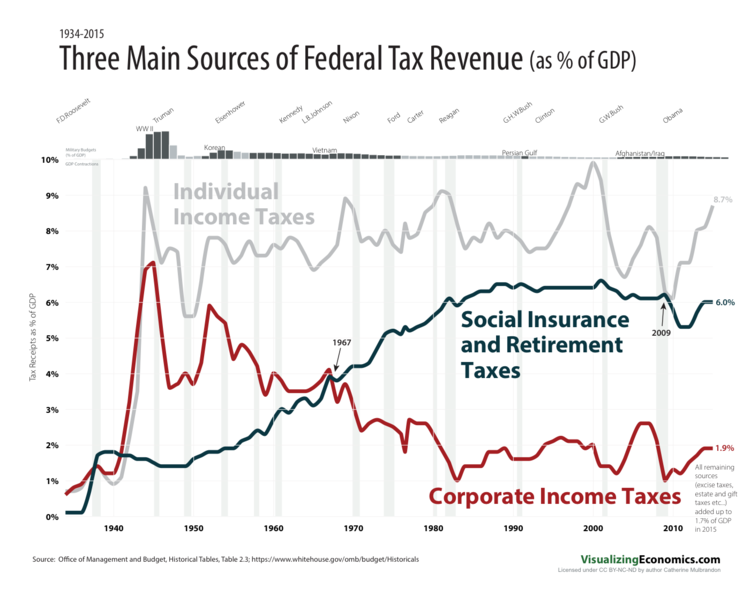 The figure above uses the data on the natural rate from the Congressional Budget Office (CBO). The danger is that because of this view that the labor market is too tight, we end up hiking the rate of interest too much, and at the same time if Trump does not come up with his promised fiscal stimulus and spending on infrastructure we might have just monetary contraction with no significant fiscal stimulus (I'm sure he will reduce taxes for the wealthy, but I wouldn't hold my breadth for the expansionary effects of trickle-down economics). And that might be how we end up having a Trump recession. To be seen. The Review of Keynesian Economics (ROKE) is honored to announce the creation of the Godley-Tobin Lectures, an annual lecture to be delivered at the Eastern Economic Association meetings. Wynne Godley and James Tobin represent the best among Keynesian economists. Both scholars insisted they were non-hyphenated Keynesians, meaning Keynesianism transcends the political disputes that often accompany economics. There is a deeper scientific validity to Keynesianism, something we reaffirmed in our inaugural statement of purpose for ROKE [see Palley, Rochon, and Vernengo, 2012]. Wynne Godley was an Oxford-trained economist, influenced by Philip Andrews and the views of the Oxford Economic Research Group on full-cost pricing. He was also a Treasury economist and Head of the Department of Applied Economics, University of Cambridge. He is remembered for the sophistication of his stock-flow consistent macroeconomic models that gave him a prescient sense of the unsustainability of the dot.com and housing bubbles in the 1990s and 2000s. Godley died in May, 2010. James Tobin was educated at Harvard University and spent most of his career at Yale University. He was also a member of the celebrated Council of Economic Advisers (1961-62), during the Kennedy administration. His accomplishments and contributions to the profession are too many to cite, but it is specifically worth mentioning that he won both the John Bates Clark Medal (1955) and the Nobel Memorial Prize in Economic Sciences (1981). Tobin died in March, 2002. Tobin and Godley shared an interest in stock–flow consistent macroeconomic modelling, a belief in the appropriateness of macroeconomic modelling based on aggregate functions rather than microeconomic parable models, and a belief in the importance and feasibility of full employment. The Godley-Tobin lectures are intended to celebrate the intellectual achievements of Wynne Godley and James Tobin. We also hope the lectures will contribute to advancing their macroeconomic approach and interests, and help rescue macroeconomics from the narrow theoretical frame within which it is currently trapped. As the Editors of ROKE, we are also pleased to announce that James K. Galbraith has accepted to give the inaugural Godley-Tobin Lecture, at the 2018 meetings of the Eastern Economic Association in Boston. Professor Galbraith will also join the Editorial Board of the journal. James K. Galbraith was a colleague of Wynne Godley at the Levy Economics Institute and a student of James Tobin at Yale University. The euro zone (EZ) was created in January 1999. Its weak economic performance is significantly due to the euro’s neoliberal monetary architecture and the design of monetary policy. Those features undermine national political sovereignty and consign the EZ to severe economic under-performance, which in turn fosters political demands for exit from the euro. Escaping this dynamic requires restoring fiscal space to EZ countries, and also changing the design of EZ monetary policy. The paper shows how this can be done. It decomposes the challenge of reform into generic problems related to the neoliberal construction of monetary policy, and specific problems concerning the euro as a currency union. The currency union problems are further decomposed into “money – fiscal policy” architecture problems and specific monetary policy conduct problems. I'm not sure the value of global brands should be taken too seriously, as compared to other more tangible assets. 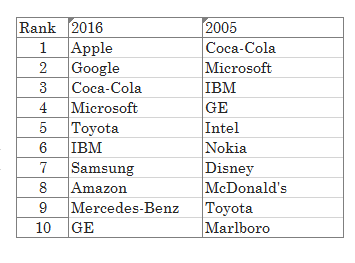 At any rate, for what is worth, below is the change in the list of Interbrand's Top 10 most valued brands between 2005 and 2016. Two auto companies left (unless you count Google). Nokia is gone, and Apple and Samsung (for now) are there. Also, no Marlboro, which is not a surprise, or McDonald's. In 2005, Apple was 41, Google 28, and Amazon 68. And Amazon is the fastest growing (in the Top 10 list, overall is Facebook). Who pays for the Welfare State? The source of the graph is here. The data can be downloaded here. I think Anwar Shaikh had a paper with a title similar to this post. And the point is well illustrated in the graph. The working class itself pays for it.